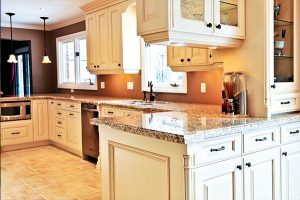 Fine Interiors only utilizes the best kitchen refacing products available in your home. 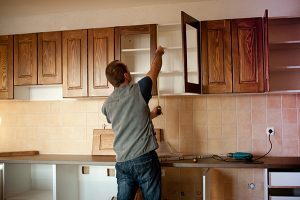 Your cabinet refinishing project will be handled with a hands on approach, our project manager will keep you informed of all timetables related to your remodeling project. 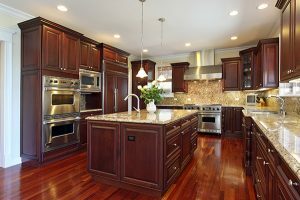 Your kitchen is the most used room in your home – Make it beautiful and functional! 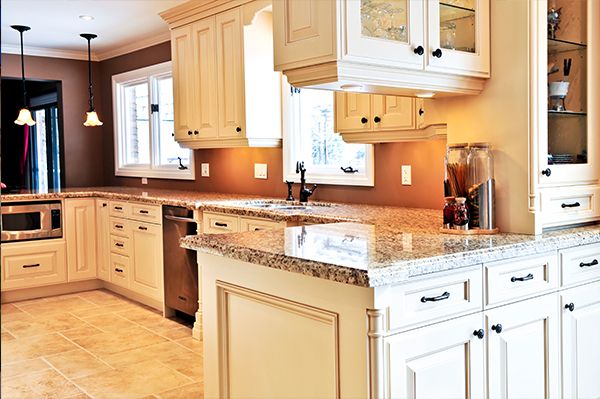 Select the type of look you want and cabinets to match the look. Our crew will repair any cracked, bent or damaged frames before refacing and refinishing. 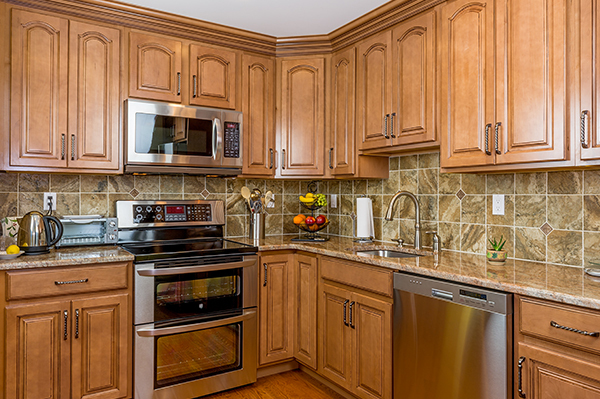 All cabinets will be finished to match your new style and color. Refacing and refinishing also lets you improve beyond the face of the cabinetry and add options. You can add new hardwood moldings, built-ins, kitchen islands, drawer boxes or roll trays, with top-quality glides. Or even continue your creation into other rooms, with something like a coordinating fireplace surround, entertainment center, bathrooms and other cabinetry. “If you’re looking for a job well done, I would recommend any and everyone to use Fine Interiors for all of your painting and drywall needs. Their precision work and dedication to get the job done right made my experience with them a pleasure. Additional Shelves & Storage – Add upper cabinets on top of existing cabinets up to the ceiling to give it a modern look. FREE Color Consultation with every painting project!